Ecommerce web hosting provides shopping cart software that enables you a quick and easy way to sell your items online. Hosted ecommerce services provide a complete system. All the features that an ecommerce website require such as SSL security, the shopping cart software, integrated payment gateways, product pages, shipping, inventory management, web hosting, dynamic reports, PCI compliance and more are included with ecommerce hosting packages. 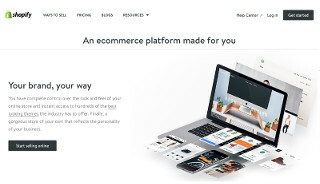 Ecommerce hosting packages come with a variety of free and premium predefined templates that you can choose from to customize the look and feel of your online shop. Predefined templates can be modified to look exactly the way you would like. Base package includes 100 products and 1 GB of Bandwidth.